Fair trade vanilla grows in view of the Rwenzori Mountains of the Moon in Western Uganda before being packed into this lustrous pink bubbler. Crumble it up under running water and sink deep into the glistening ridges of sweetly scented bubbles and comforting creamy candy scent. It's a sweet treat you won't soon forget. This must have been a part of their holiday collection, because it's out of stock now on their website. Again, I apologize, I should have tried these out and put up reviews before the New Year, but I didn't want to use up my pretties so quickly. 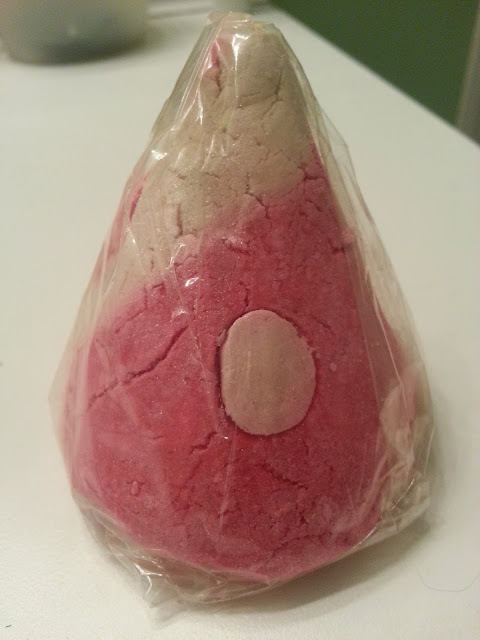 This bubble bar smelled sweet, I smelled vanilla mostly, with a light hint of candy. I broke a piece off and got pretty good bubbles from it. Look how shimmery it is! I didn't find it made the water shimmery at all, so that's a plus. I don't want to come out of the bath looking like a disco ball! 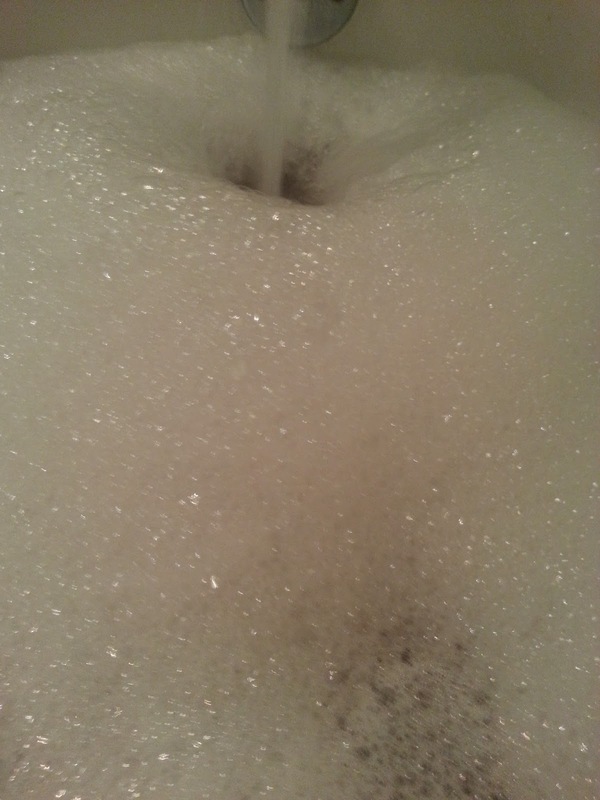 Look at the bubbles it made! And that was only with a top piece of the bar, not even half of it. Pretty amazing! 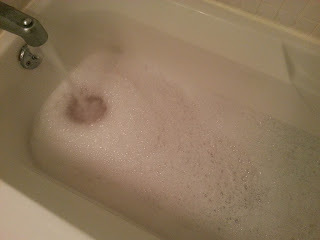 It didn't turn the water pink like I was hoping, but it smelled great. The scent lasted awhile on my skin, and I could even smell it on my towel as it was drying. 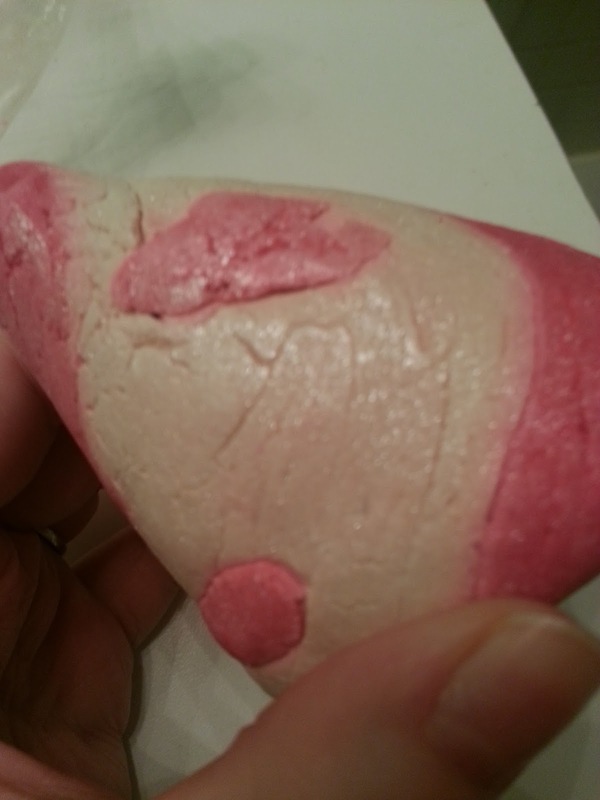 I'd definitely purchase this bubble bar again. I hope to see it come back next year!